Brain Cancer continues to take our best. Help Stop it! My 6th round of Chemo started on April 1, 2013. I noticed that I had more energy during my last treatment. After 2 months of not puking, I ended up getting sick a couple days after my week of chemo. 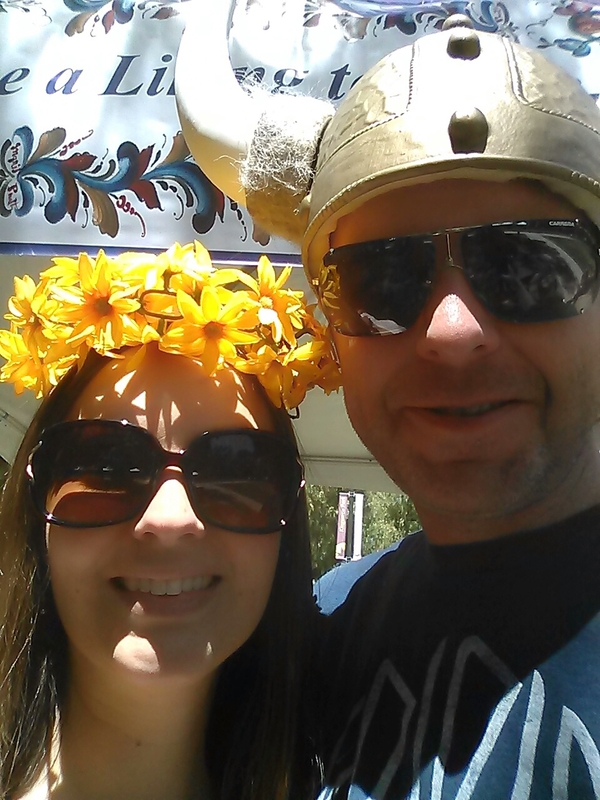 One event that I went to with my family last month was the local Scandinavian Festival. 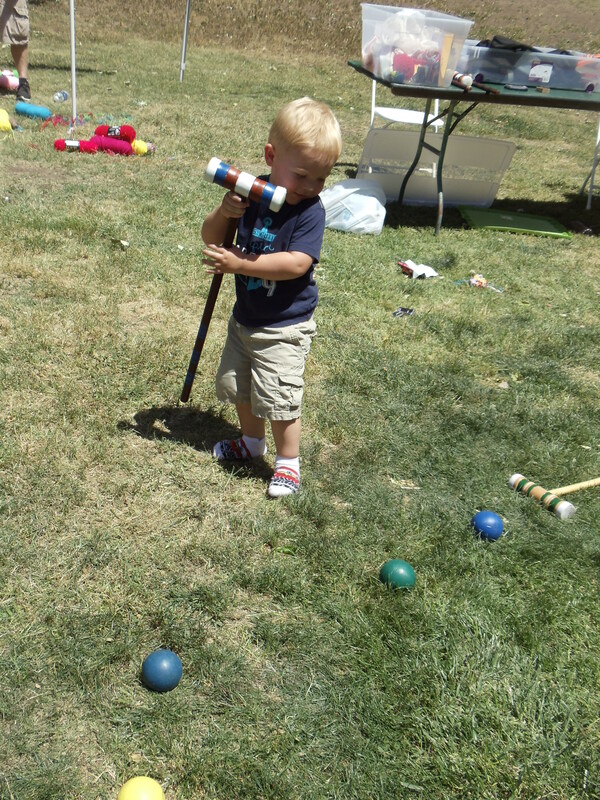 It was fun watching my son find his way through the bounce house maze and play croquet. It was a hot day but we still enjoyed eating Swedish meatballs and Aebleskivers and checking out the booths. We are really happy that things are going as well as they have for you! The pictures are really cute. I just want to thank you for talking with me so openly about your tumor today. I left the playground in a very different emotional space and hugged my kids just a bit harder tonight. I am grateful for things that give me a better perspective and today that was you. I also want to express my sorrow for you and your family’s struggle and let you know that I will be thinking of you all and praying for a positive outcome. I don’t think I did that very well when we met today and I am sorry. And finally, I’d like to introduce myself more formally and offer any assistance I can provide. I sense that you have a pretty good support network around you and I hope that is true. You may not need anyone else in your circle, but in case you do, I offer this very sincerely. We are a military family and often need to create our “family” as we go, often even with random people we meet on the playground. I wish in a situation like this that I were a renowned oncologist or a millionaire, but sadly I have neither or those gifts to offer. However, I can whip up a home-cooked meal, drive kids/people places, babysit or host play dates if you and your wife and other family members need a break sometime. And since we are a military family I have background checks available to show that I’m really not some crazy person!  Really, truly if there is anything we can do, please let me know. We would be honored to assist in your fight to heal. Again, thank you for our talk. I look forward to seeing you more. Note: Donations are used to pay medical bills to support Robert and his family and promote brain cancer awareness.